The Canadians lost their final round-robin matchup 2-1 in a tight battle with the Russians on New Year's Eve, but the defending champions have a chance to redeem themselves when they take on Finland on Wednesday. 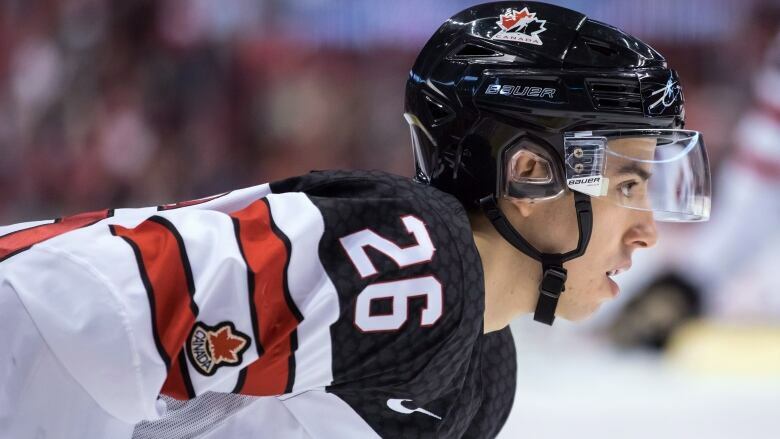 Morgan Frost believes Canada's best game is yet to come this year's world junior hockey championship. "It's the quarter-finals so it's kind of win or go home," Frost said. "I think there'll be a lot of emotion but I think you can expect our best game." The Finns beat Canada 5-2 in pre-tournament action and the Canadians want revenge, Frost said. "They're obviously a skilled team," said the Philadelphia Flyers prospect. "If you give them too many chances on the power play, they're going to score. So I think we need to stay disciplined and not give up too many scoring chances. They're definitely a dangerous team." Finland didn't make it past the quarter-finals in last year's tournament, losing in a shootout to the Czech Republic. This time around, the Finnish roster boasts three current NHL players, including Urho Vaakanainen of the Boston Bruins, Nashville Predators forward Eeli Tolvanen and Chicago Blackhawks defenceman Henri Jokiharju. The team also includes Kaapo Kakko, who's expected to be a high pick in this year's NHL draft. Still, the squad struggled in the round-robin this year, winning two-of-four games. Canada won three in a row before the loss to Russia. The Canadians are confident that they have what it takes to fend of the skilled Finns, especially after seeing them in an exhibition game, Frost said. "It's good that we played them and we kind of know what to expect now," he said. "We have a game plan going in and we just have to execute it." Not sticking to the plan was Canada's downfall against Russia on Monday, said head coach Tim Hunter. "We had guys shooting the puck at the net and we had nobody at the net, so there's a process to scoring goals and we have to stick to that process and we got away from that [Monday] night," he said. The group will need to play a complete game if they're going to move on to the medal round, Hunter added. "It's consistency in our effort, trying to play our game, every shift, every period, and that's our goal." Maxime Comtois is the only returning player from last year's gold medal-winning team. He knows what it's like to have to bounce back from a loss in the tournament. Canada lost a preliminary-round game to the U.S. in a shootout last year. "We knew what we didn't apply in that game and it's the same thing this year, we know what we did wrong and we hit the reset button and just focus on ourselves," said Canada's captain. "We have a chance to battle for a medal, stay positive and we have big games coming, stay focused." Staying focused can be a challenge for young athletes competing on a big stage. Emotions are high and the arena is loud, said Michael DiPietro, Canada's starting goaltender. "Definitely when you step out on the ice and you hear all the fans cheering your heart starts beating a little bit faster than usual," said the Vancouver Canucks prospect. DiPietro's been using breathing techniques to calm himself and lower his heart rate before games and while he's on the ice. "It's something that can maybe turn your focus back to the play and back to the game," he said. Slowing down and recognizing that the quarterfinal match up is just another hockey game will be key for the entire Canadian team, DiPietro said. "Because the rink's the same size," he said. "We've just got to bring our focus back to that. It's another game to play. We play hockey because it's fun and that's got to be our focus."